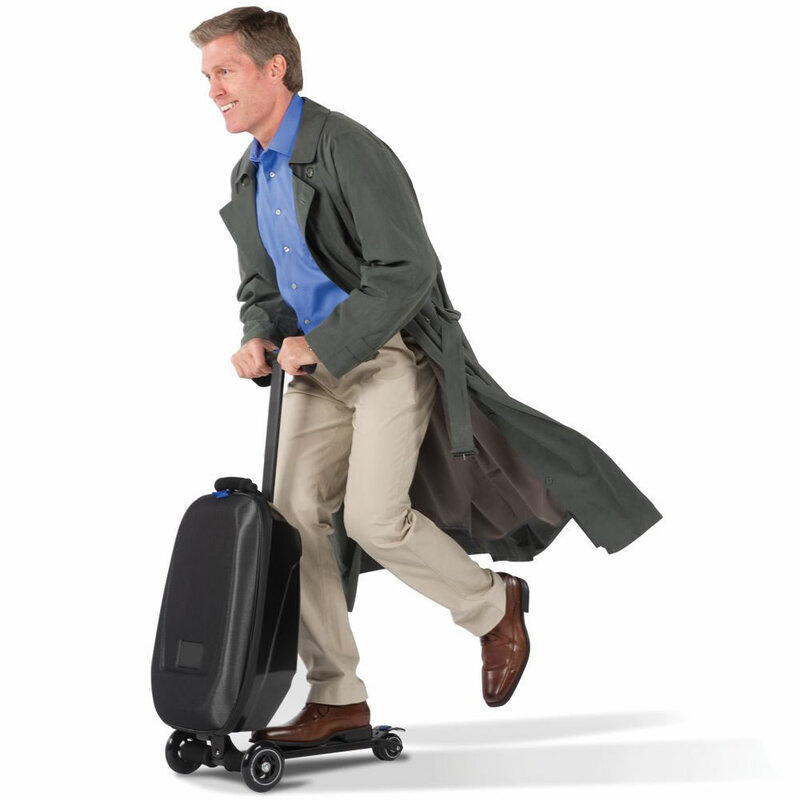 I can't believe this scooter/suitcase from Hammacher Schlemmer is "no longer available." It looks perfect for a quick getaway, and with a "spacious interior for storing work shoes, a lunch, or purse," definitely trumps roller-skate shoes while positioning itself as a working-class Segway. It's approved for overhead and under-seat use, but why fly when you can riiiiiiide?